Pictures pending. Honestly, we’ve had a busy weekend (3 year old birthday party yesterday), and the effort to transfer the pictures I took this morning…well, it’s just going to have to wait. These were lovely. My husband and mother-in-law each ate 3, I think. 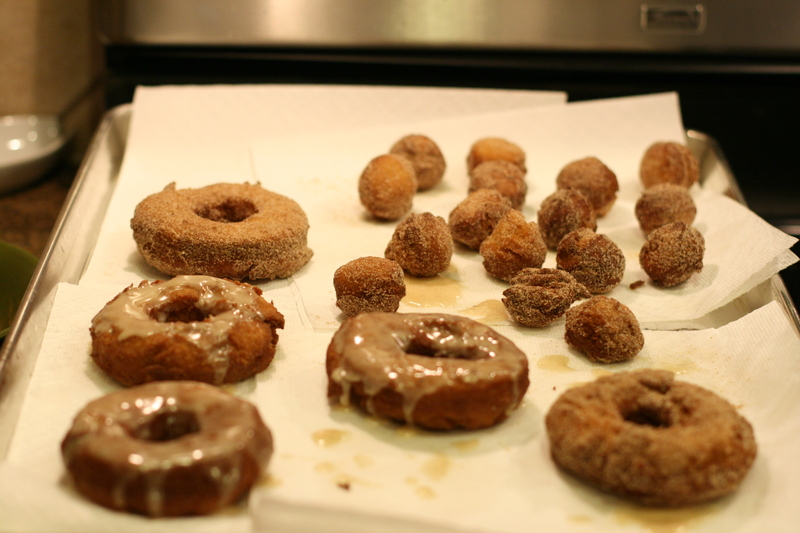 I did the vanilla glaze (which is nowhere near the lovely white in the photo in the book) and cinnamon sugar coating. I skipped the chocolate (what?!) as I’m a chocolate purist. 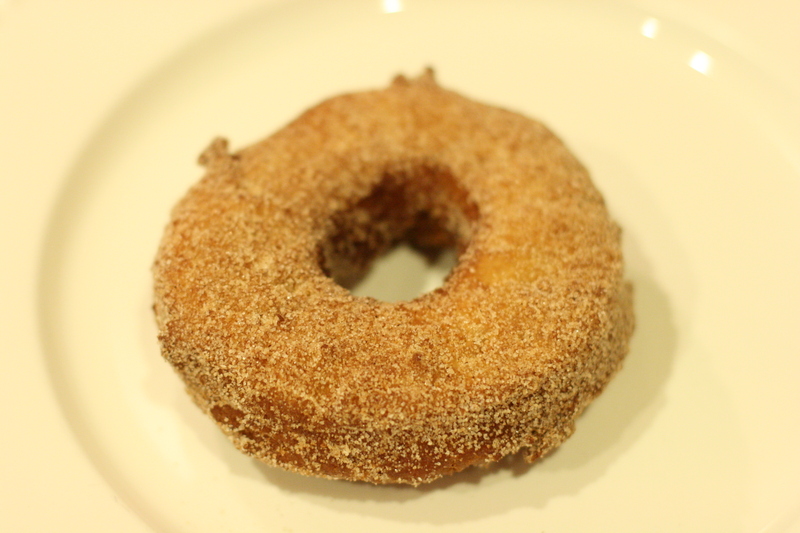 The cinnamon and nutmeg in the donut dough would, for my tastebuds, clash. 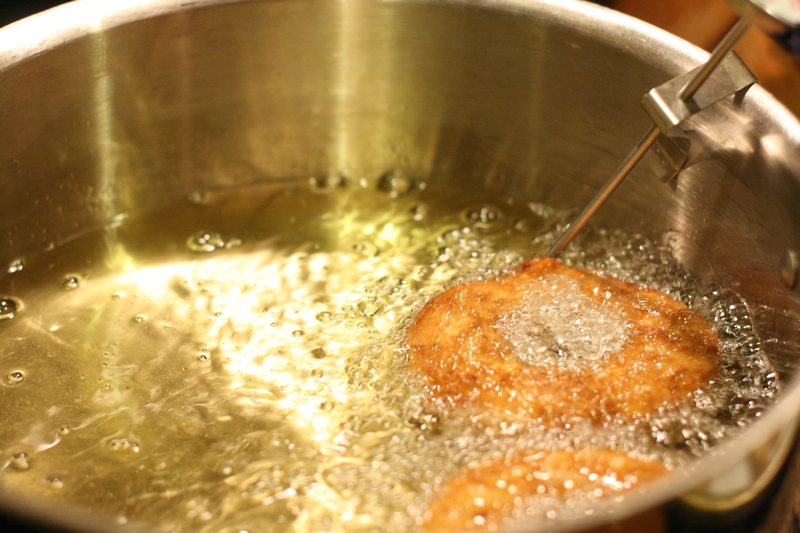 They were a cinch to pull together, though they use an awful lot of oil / Crisco for frying. Much less time consuming than the yeasted variety just because you don’t have to wait for them to rise. Not something I’ll make regularly, but nice to know I can. For the recipe, and to see other bakers in action, click here. ~ by Larisa on January 16, 2011. Yum! Normally, I would side with you about the chocolate, being the snobs that we both are, but I thought I would mention that my family’s birthday cake is a cinnamon chocolate sheet cake. I’m not as fond of it anymore as I was growing up (it’s too sweet), but the cinnamon goes better than you would think. I didn’t know you could make buttermilk donuts, though. Interesting. Your doughnuts look great! I am behind on this one, but suspect the cinnamon-sugar will be my favorite as well! Nicely done! Good job! these look great!! I love that frying picture. These do taste so good and hard to resist when they are freshly made. I am not a bit surprised that your husband and mother-in-law had three. I didn’t make the vanilla glaze, but even though I am a chocolate lover I preferred the cinnamon and sugar ones. wow, they look insanely good! Ummmm, hello? Donuts? Me? Over here? Just kidding. You know I have a special fondness for donuts but I’ve never thought about actually trying to make them. I fear that would unleash a monster and suddenly I’d be eating my weight in donuts and then, well….there aren’t enough miles around LadyBirdLake to make up for that.